The Golden Space Needle Awards were determined by festival audiences, who cast nearly 90,000 ballots. 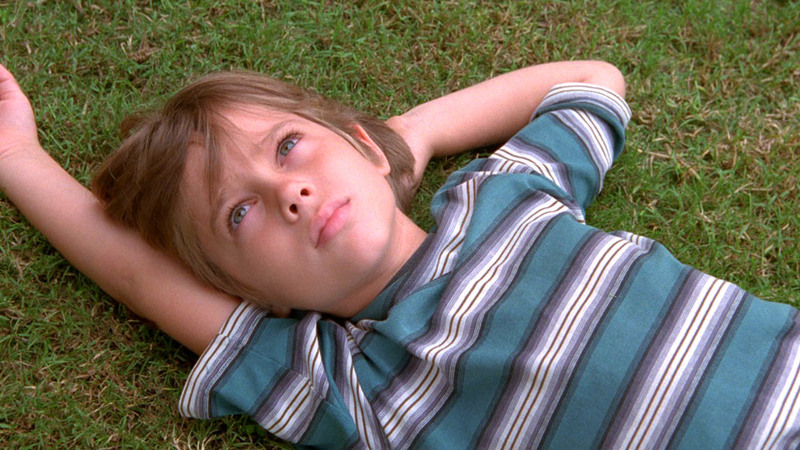 Results included Richard Linklater’s “Boyhood,” Alan Hicks’ documentary “Keep On Keepin’ On,” and Peres Owino’s “Bound: Africans Versus African Americans.” Check out the full list of Golden Space Needle and Competition Awards below. This award is given to the female director’s film that receives the most votes in public balloting at the Festival. Lena Sharpe was co-founder and managing director of Seattle’s Festival of Films by Women Directors and a KCTS-TV associate who died in a plane crash while on assignment. As a tribute to her efforts in bringing the work of women filmmakers to prominence, SIFF created this special award and asked Women in Film Seattle to bestow it. JURY STATEMENT: Our unanimous winner is Carlos Marques-Marcet’s 10,000KM for its ability to simply and creatively convey the complexity and fragility of human relationships with gorgeous attention to detail. JURY STATEMENT: Our special jury mention goes to B For Boy’s director Chika Anadu for her assured and fierce storytelling. Festival programmers select 12 films remarkable for their original concept, striking style, and overall excellence. To be eligible, films must be a director’s first or second feature and without U.S. distribution at the time of their selection. The New Directors Jury is comprised of Ron Leamon (costume designer), Sharon Swart (journalist), and Helen du Toit (Artistic Director, Palm Springs International Film Festival). JURY STATEMENT: We give the documentary prize to Marmato. With courage and ambition, director Mark Grieco artfully brings to life a personal story with global significance and provides a window into a world that few would have access to. JURY STATEMENT: We want to give special recognition for the aesthetic richness and cinematography of these films. Unscripted and uncut, the world is a resource of unexpected, informative, and altogether exciting storytelling. Documentary filmmakers have, for years, brought these untold stories to life and introduced us to a vast number of fascinating topics we may have never known existed-let alone known were so fascinating. The Documentary Jury is comprised of Brian Brooks (FilmLinc.com), Claudia Puig (USA Today), and Pat Saperstein (Variety). JURY STATEMENT: An ethnographic journey to the South Pole becomes an unsettling tale of fumbled love and transcendent redemption, capped by an extraordinary performance from Olivia Thirlby. Festival programmers select 12 films without U.S. distribution that are sure to delight audiences looking to explore the exciting vanguard of New American Cinema and compete for the FIPRESCI Award for Best New American Film. The New American Cinema Jury is comprised of members of the International Federation of Film Critics (FIPRESCI): Juan Manuel Dominguez, Gerald Peary, and Amber Wilkinson. JURY STATEMENT: For skillfully using humor as a vehicle for social awareness, breaking the mold of traditional cinematic archetypes, and unifying audiences of all backgrounds. JURY STATEMENT: For its realistic characters, beautiful scenery and cinematography, and strong, touching theme of friendship through hard times. JURY STATEMENT: For being a funny, adventurous story about the importance of creativity in children’s lives. JURY STATEMENT: For its gentle depiction of a young girl exploring her natural surroundings that was both captivating and realistic. JURY STATEMENT: A rich and compelling world with beautiful cultural and generational chapters. The seamless use of animated comic book imagery to reflect the protagonist’s journey and the larger political backdrop. JURY STATEMENT: A beautifully filmed and tragic story, based on real life events, about freedoms here that carry the death penalty elsewhere. JURY STATEMENT: An honest, vulnerable and authentic piece that exposes an invisible issue that is happening in Seattle and worldwide. The character’s story of healing leaves the audience with a sense of hope. The use of artistic footage illustrating the character’s transformative journey. JURY STATEMENT: Effective framing, to craft a haunting portrait of youth in exhibition pageants. JURY STATEMENT: A story of self redemption told through quirky and playful animation bounding with shifting formats that would be dizzying if the story wasn’t so timeless. An animated love story that tips its hat to its own genre. The Short Film Jury comprised of Laura Jean Cronin (B47 Studios), Craig Downing (Couch Fest Films), and Brooks Peck (EMP Museum).